Most people have seen photos of the Great Wall of China snaking up rugged mountains and down steep valleys. But how many realize that the world’s (arguably) most famous landmark also slips beneath the waves? Or that tourists can suit up in scuba gear and float above it? The Panjiakou Reservoir outside Beijing offers such a unique experience. Construction of the Panjiakou Dam, measuring some 100 meters (328 ft) high by a kilometer wide, began in 1975 and gradually led to the flooding of nearly 70 square kilometers of land in Hebei Province. While the reservoir is closest to the city of Chengde, the rising waters were meant for the metropolises of Tianjin and Tangshan due south. Those waters would also ultimately submerge sections of The Great Wall that date back to the Ming Dynasty that ruled China from 1368 to 1644. Visitors will find the Great Wall disappearing into the reservoir like the tail of a dragon. It then emerges on an island before plunging into the depths again. 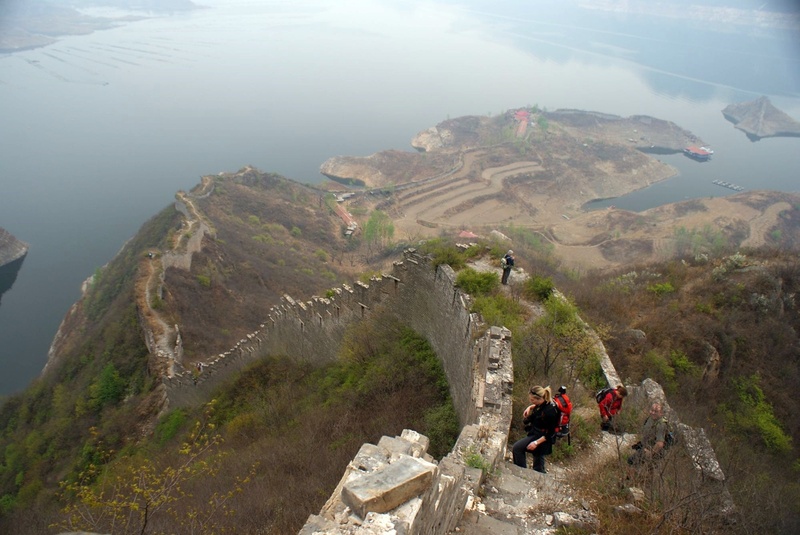 While this sight alone might be worth a visit to Panjiakou, the more adventurous can get a better look at the 400 meters (1312 ft) or so of underwater Great Wall by donning dive gear. That isn’t to say that the dive is without challenges. The water can be chilly and require special protection. Algae and other matter in the water can limit visibility. And a guide such as Schwankert faces the onerous task of bringing all of the diving equipment to the site. Still, diving the Great Wall is such a novelty that these are minor annoyances. And first-hand accounts from divers have largely been positive. 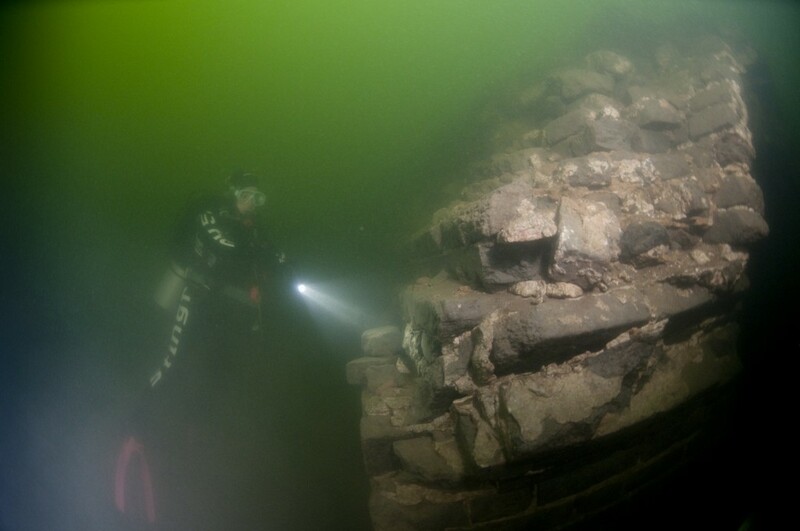 Along with being able to trace the wall’s descent, admire the construction techniques used to build it, and swim through passages, divers can also see a “sally port.” This is a major entrance through which large number of troops could move and is a relatively rare sight at any part of the Great Wall. Conditions at Panjiakou can change, with reservoir levels rising and falling, so it is best to check ahead to make sure the conditions will ensure a good dive. In fact, a drop in the water levels last year exposed far more of the Great Wall than usual. In a sense, the Great Wall also serves as the most spectacular depth finder of all time.